Metamorphic Technique is a unique approach to transformation, healing and personal growth based on the principles that everyone has their own capacity for self-healing and that transformation cannot be consciously 'caused'. It works on the basis that energy or 'life force' underlies all forms of life and that our energy can be held in particular patterns. We are born with a blueprint of our great potential and over time, blocks to us realising this potential can arise and may manifest as physical or mental illness, emotional problems, limiting attitudes, or repeating patterns of behaviour. Metamorphic Technique uses a light touch on feet, hands and head which seems to creating a healing space in which we can reconnect with our true selves. The life force, guided by the person's innate intelligence, will bring about whatever transformations of the energy patterns are needed. Most people find sessions very pleasant and relaxing to receive and it can be safely received by anyone. 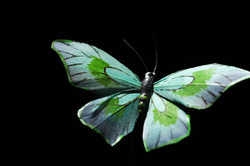 People are often drawn to the Metamorphic Technique at difficult times such as: illness; career change; moving house; bereavement; divorce; because they feel at a crossroads; are in a state of crisis; or feel 'stuck' in their lives. Some people find that having Metamorphic Technique sessions helps them cope better in periods of transition. Others may want to make deep inner change without having to analyse the past, and many people find that in times of stress, they are able to deal with situations more effectively. Metamorphic Technique is best approached without expectation. Each person's own life force has an innate intelligence of its own. Any changes that occur originate entirely from within the recipient. The practitioner simply provides the necessary environment in which this can happen. The Metamorphic Technique stands alone, for it is neither a therapy nor a treatment, nor is it a massage or healing. There is no diagnosis or physical or emotional manipulation. The technique can be received on its own or alongside conventional or complementary approaches. It can be received by everyone, including ill or dying people. Pregnant women can receive sessions with absolute safety as often as desired and both mother and unborn child can benefit from the sense of wellbeing that arises from this work. You are free to receive sessions according to your own personal preferences and needs. You may like to have sessions on a weekly or fortnightly basis, or you may prefer to come when you are feeling tired or uninspired. The contact provided is gentle and undemanding, offering a pleasant and relaxing experience.